Japan’s Nuclear Safety Commission says the first stage of the stress test is not sufficient to assess the safety of nuclear power reactors. Commission Chairman Haruki Madarame said on Monday that the initial round only checks the equipment that are essential for maintaining safety in times of natural disasters. The Nuclear and Industrial Safety Agency last week gave its first approval of test results on 2 reactors at the Ohi nuclear plant in western Japan, after cutting off debate by the panel of experts days earlier. He emphasized that a second stage is necessary. It will follow the results in Europe and the findings from the investigations into the accident at the Fukushima Daiichi nuclear power plant. Yoshinori Moriyama of the Agency said it’s the first time the commission has pointed out that the first-stage of the stress test is insufficient. He added that he will verify it with the commission. The NSC, a panel of about 100 experts who provide nonbinding technical advice, has been criticized by the media as toothless since the crisis, and has also been criticized by its own panel of experts for rushing to approve stress tests for halted nuclear reactors. Government and nuclear industry officials have sought to use the tests as a way to assuage public misgivings about nuclear plant safety. The government has said that idled reactors will be allowed to restart once the first stage test is over. Nuclear plant operators began submitting the results of the self-assessed stress tests in recent months, but none have done so with the second-stage test. At the panel’s meeting on Monday, Professor Emeritus Hiromitsu Ino of the University of Tokyo said discussions hadn’t been exhausted, and he feels deceived. Masashi Goto, a lecturer at the Shibaura Institute of Technology, said the panel’s job is to fully review plant safety to prevent another nuclear accident. Goto said he cannot understand why the agency was rushing to reach a conclusion. Japanese nuclear safety officials have never taken seriously the impact of power outages, assuming that the likelihood of hours-long blackouts in high-tech Japan would be low. While promoting the countries earthquake and tsunami response and monitoring systems, they thought keeping backup generators would be enough, and never thought of the risk of placing them in the basement — the area most prone to seawater damage from tsunami. The destruction of the generators at Fukushima Dai-ichi left no method available to cool the reactor cores, which eventually melted down. Only a few weeks have passed since it was found out that Madarame had received 4 million yen from 2009-11 from Mitsubishi Heavy Industries, a big manufacturer of nuclear power reactors. Another member of the government panel, Seiji Shiroya was paid 3.1 milion yen by Japan Atomic Industrial Forum Inc. over three years to 2009, while he was professor at the University of Kyoto. 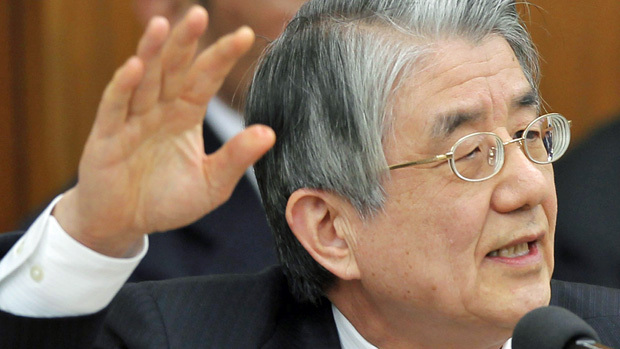 According to Madarame, a former professor of the University of Tokyo, these donations had no influence on their decision-making, when they were promoting nuclear safety by double-checking the regulatory measures implemented by the nuclear industry and science ministries. NISA has also been rocked by revelations showing a lack of expertise among regulators, Nobuaki Terasaka, head of NISA until August, said he has no science or nuclear background and hardly participated in crisis management at the prime minister’s office. NISA has issued emergency safety guidelines requiring nuclear plants nationwide to improve readiness for disasters since Fukushima’s, but Madarame urged NISA to fully review them because they are “all temporary measures.” The Nuclear Safety Commission reviews safety inspections conducted by regulatory agencies, such as the Nuclear and Industrial Safety Agency.